Biddy was born in Kiwirrkurra desert in the 1920's the only child of her parents. With her Dad, three mothers, half sister and brother, they walked 1200 kilometres from the Western Desert near Kiwirrkura to Sturt Creek Station near Halls Creek when Biddy was just a child. Biddy and her family lived there for years. When the Government employees came to take away the half caste children away Biddy walked up to them with her baby who was very pale and told them this was her only baby and they weren't going to take her away. The father of the baby, who worked for main roads talked up for her and she was able to keep her baby. 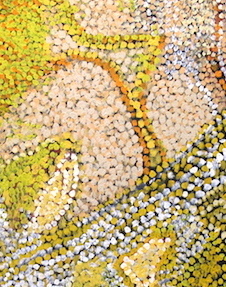 Biddy paints her country and the stories of when she was young, in the western desert style. 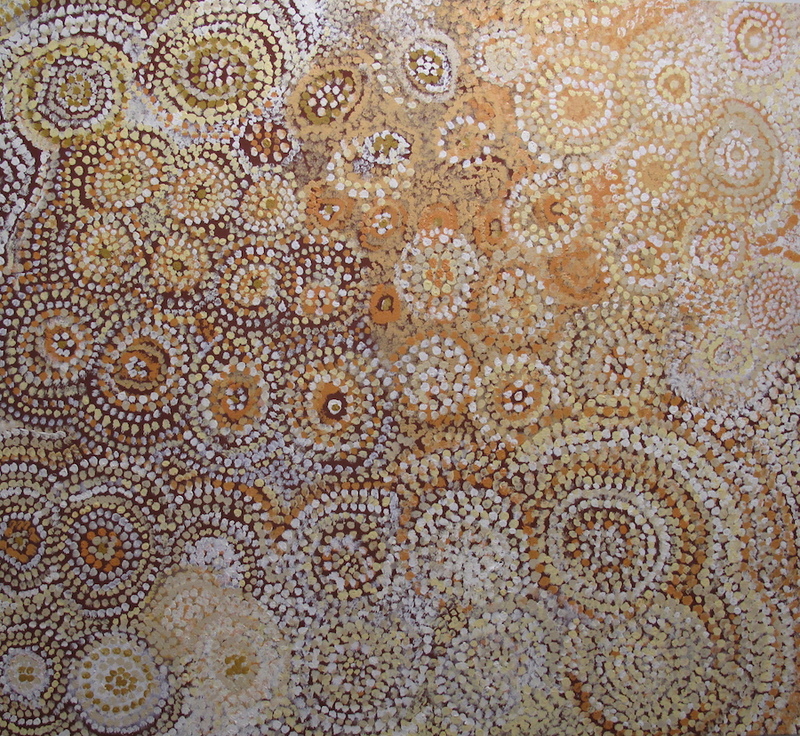 In 2012 Biddy took home the Mid-West Art Prize for the overall award of excellence and won the prize for the best work by an indigenous artist at the Hedland Art Awards.